The construction for the school is on schedule and should be ready to open for the start of the next school year in the Fall 2019. Contractors are working hard to complete the school on time and should be releasing the building to the school district sometime in June. The name of the new school has been finalized – Benjamin “Doc” Kerly Elementary School, or KES for short. Benjamin Doc Kerly is a local histrorical figure who founded the “Hutto Colored School” in 1911. The mascot for the school will be the Hippo, of course! Mrs. Kyle Ruggirello has been appointed first principal for KES and she is working out of the central office until the building is released this summer. Mrs. Ruggirello is working with the communications department on populating the school’s website so that parents can log on for updates and events. There is not much there now, but you can check it out here. The most common question I have received about the new school is what will the new attendance zones be when the school opens. The proposed attendance zones for 2018-2019 were recently posted to the ISD’s main page and will be voted on Thursday night. In the proposed zones, Siena is split by Limmer Loop – residents north of Limmer Loop will stay at Veteran’s Hill and residents south of Limmer Loop, including those who live on the West side of CR 110 will go to KES. You can see the full map here. 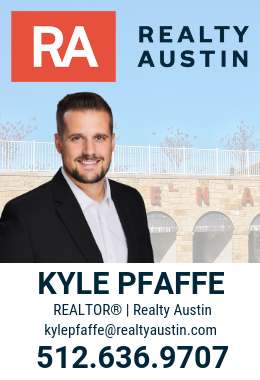 If you have questions about how KES might affect Siena, our neighborhood or real estate in the area, please call/text me at 512-636-9707 or contact me here.